Starkstrom came to us to prescribe a creative solution for their medical communications campaigns. As designers and manufacturers of critical care equipment, historically most of their advertising had been very tactical, product-led and pragmatic. We proposed using the major brand asset of the stand-out yellow in a completely full-on and unadulterated way. The medical equipment market is a world of blue and white! The vibrant was teamed with a strategic message and strong metaphor. 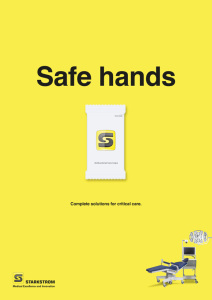 These arresting adverts are designed to stop the reader in their tracks and would include a tipped-in actual hand wash sachet(safe hands), battery (long life) and 3D glasses. (2020 vision). 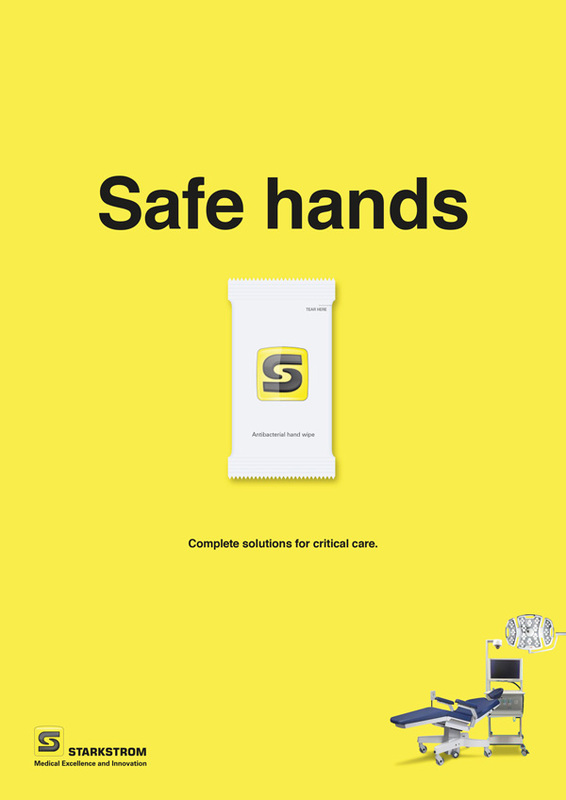 The result: A refreshing take on a medical communications campaign. Qualitative market research has already shown that these adverts are both striking and memorable.